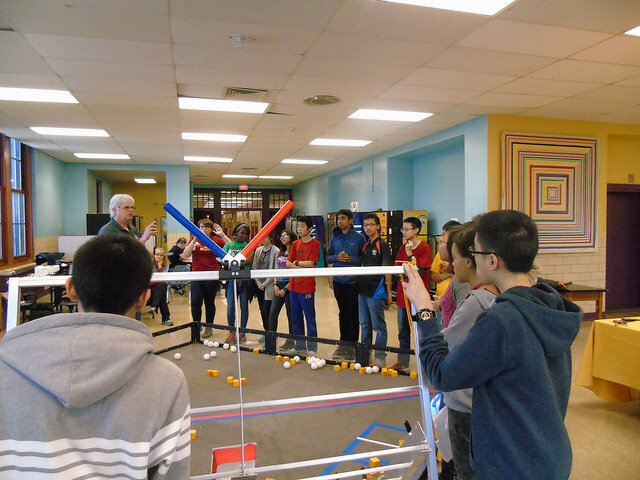 This year, on the 24th of October, Central High School hosted the annual Build It!, which is a gathering for the robotics clubs in Philadelphia. Both of Central’s teams worked to decorate their cafeteria for the event, preparing to greet fellow competitors from across the city. The primary goals of Build It! were to allow teams to communicate with each other, to get familiarized, and to work together on their robots. The Build It gathering makes the perfect opportunity to show off each individual team’s talents, mechanical figures, and school pride. This year, several teams from the area came, including, but not limited to, Freire Robodragons team 5488, Boys Latin Techeads 6677, and others. Of course, Central’s teams, Crimson 6676 and Gold 5320, were present for the event too. As a programmer, the event was an amazing experience, and it allowed me to see the potential of several teams in Philadelphia. It was also helpful because we were able to see ideas and strategies towards the new FTC game from other teams at the event. The cafeteria buzzed with activity as teams worked from 9 am-3 pm on their robots. At least one team completed their robot enough to actually test it on the practice field given. Crimson as a whole made great progress on our robot. While our mechanics and electricians were working on the robot’s chassis and electrical components, I walked around the cafeteria scouting other teams and making new friends. I also learned more programming than I would have on any other day. Even though it is called “Build It!” there was a lot more going on than just building our robot. 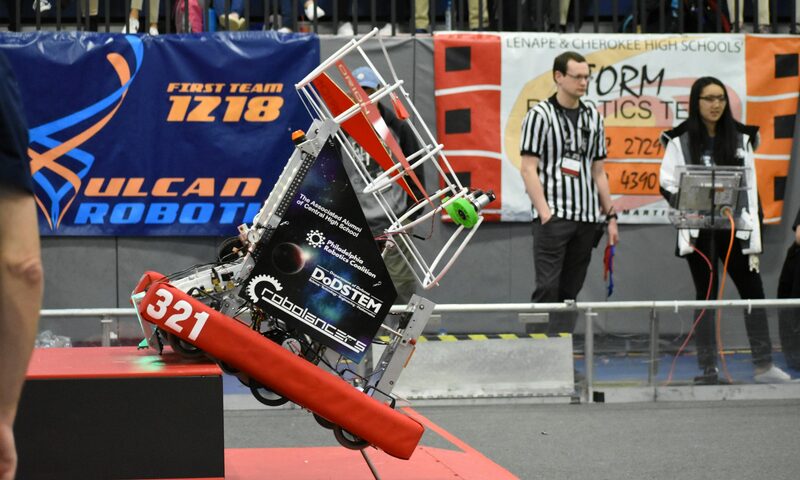 Some teams built their robots and began programming them, while other teams got the opportunity to test their robots. Our team got our basic robot design done, the goal being to test it. Programmers got the code done in a flash, but in the end we couldn’t test it because the phones that were to run our robot were not charged. Overall, this year’s Build It event was a great success! CategoriesFTC, Personal Experience TagsBuild It!